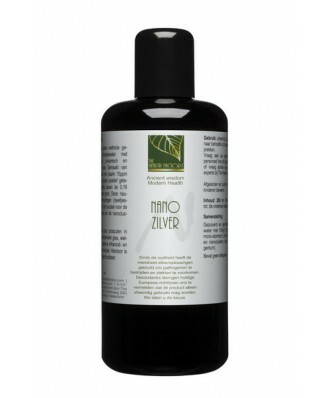 Purified water with 15mg / l (15ppm) ultra-small particles of pure silver. It is a special type of mineral water produced according to unique method, consisting of purified water with 15mg / l (15ppm) ultra-small particles of pure silver. When silver particles are a few nanometers small (1 nanometer is one millionth of a millimeter), the effect is particularly powerful. are quickly and completely absorbed through the skin and mucous membranes. The smaller the silver particles, the brighter the color and the better it works. The Health Factory packages its products in high quality dark violet glass, which only transmits infrared and UVA radiation. This means that the product can be kept for much longer time. 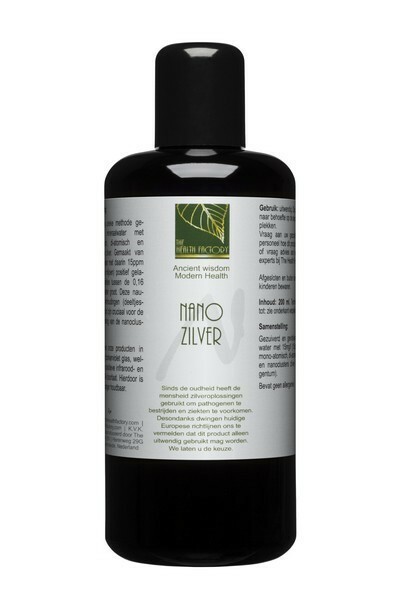 Application • On the skin • In the mouth • The nano particles of silver does not contain any stressful substances. 100% pure. Drip or spray in pure form as needed in the affected areas, eg on the skin of the face, body or in the mouth. Can be kept for 1 year after opening. Consult your health care professional first if you have health problems, use medication or are pregnant. Keep locked up and out of the reach of young children.